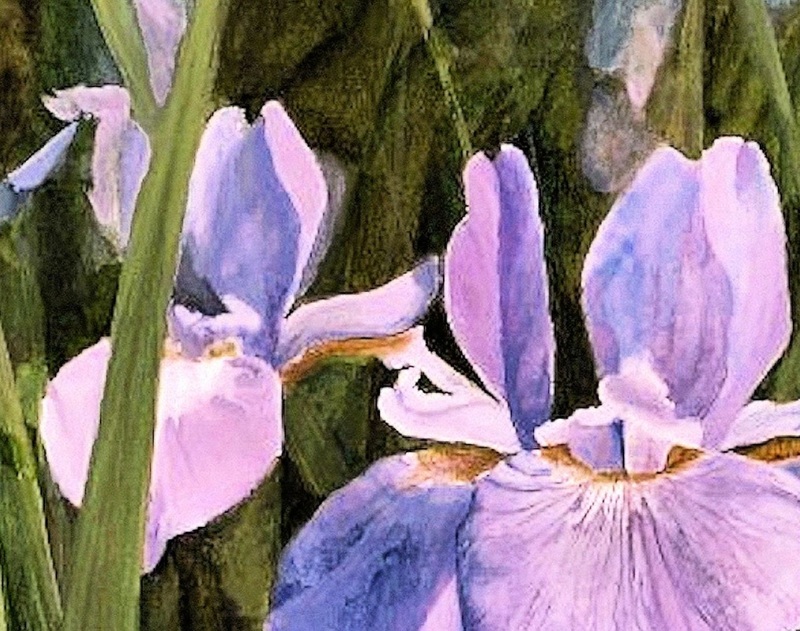 Original watercolor botanical garden flower titled Wild Iris is a one of a kind nature art painted by hand by Laurie Rohner. Iris watercolor original painting botanical garden landscape nature art. My painting is a realistic detailed painting of blue iris against dark green leaves and stems. These iris are from the iris gardens in Northern NJ. Imagine a spring day sunny with a gentle breeze and along the back bank of the garden stands hundreds of this wild iris moving back and forth as if dancing to nature's music. It is one thing I miss about New Jersey. Buy art, original watercolor nature art, inspired by botanical gardens and nature, makes great wall art. Original art for sale online here at Laurie Rohner Studio. You will love my hand-painted nature art garden watercolor. Great for gift giving home decorating and fine art collectors. 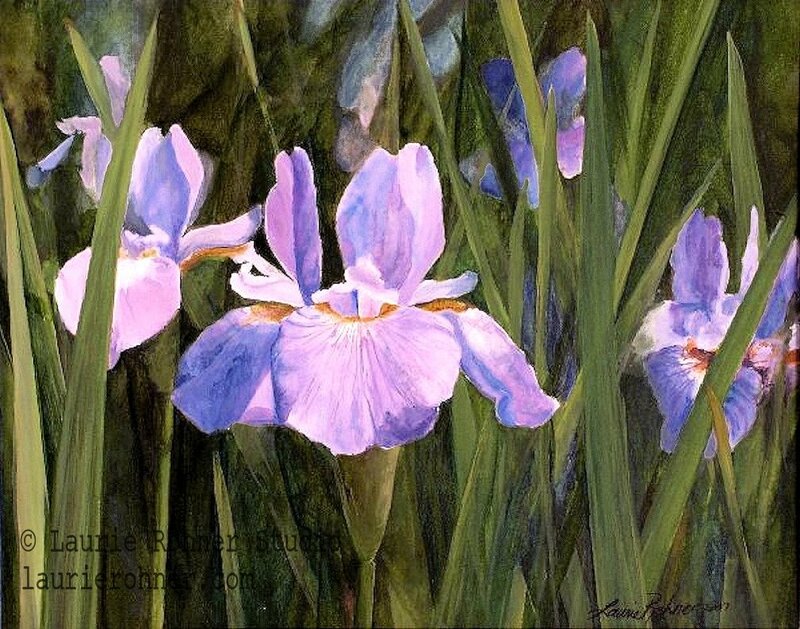 **Wild Iris is unframed and I used watercolor board. It is watercolor paper already mounted on a backer acid free illustration board. It is about 1/8" thick. Your painting is safely packed.